At Evergreen AutoWorks in Bothell, WA, we offer comprehensive repairs and services for all makes and models of light duty trucks and pickups. Whether you own a Ford, Dodge, Chevrolet, Nissan, Toyota, or GMC truck, our professionals can assist with any repair or service that your vehicle may need, including for both personal and business uses. Our light truck and pickup repairs and services include oil changes, brake repair, transmission repair, vehicle inspections, diagnostics, and much more! Your truck can do much more than a standard sedan and therefore requires specialized service and maintenance from a shop that understands your vehicle. 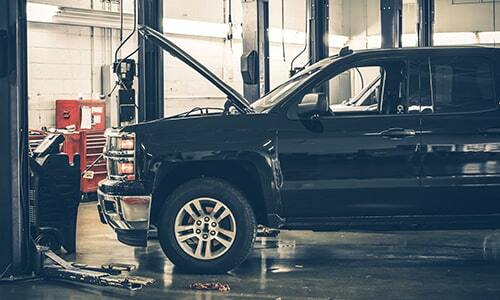 Our ASE certified mechanics are highly experienced with both gas and diesel engine trucks. We are diesel engine experts and are well equipped to work on diesel engine repairs, including Powerstroke and Duramax. At our family owned and operated Bothell truck repair shop, we have the latest tools and technology to properly handle your truck and keep your vehicle reliable on the road. If you’re experiencing an issue with your truck or the check engine light has turned on, don’t hesitate to bring your vehicle into our Bothell auto repair shop. We can get to the bottom of any issue and get you back on the road quickly. Evergreen AutoWorks has provided the community with fast, friendly, and helpful service for over 50 years and counting. We have a huge shop for fast turnarounds and offer a free shuttle service for customers who need a ride while their vehicle is repaired. We also stand behind our work with one of the best warranties in the industry - 3 years or 36,000 miles. If you’re looking for professional light duty truck or pickup repair and service, bring your vehicle into our AAA approved shop or give us a call today!